The everyday experience of being outside and connecting with the natural world goes a long way toward fulfilling children’s required daily allowance of joy. 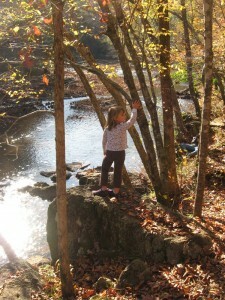 Outdoors, they experience discovery, adventure, freedom, and beauty. The outdoors offers a feast for the young child’s hungry sensory system, a boundless stage for their energetic bodies, and the endless possibilities that their wide-open spirits crave so deeply. 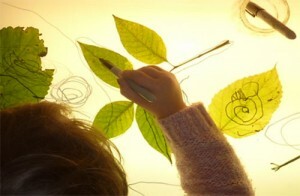 Unfortunately, we know from recent research that, compared to our own childhoods, kids today are not spending much time outside; know very little about the plants and animals in their own immediate environment; and in general feel disconnected from life beyond relatively sterile child care classrooms, scheduled activities, television, and video games. We want Children Firsters to be exceptions to that dismal rule. 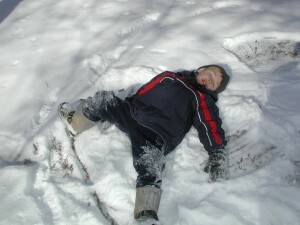 At Children First, children may choose to be outdoors most of the morning. Unlike most programs that designate a particular hour or less of the day for “recess” or “outside time,” we consider the outdoors part of one all-day classroom. 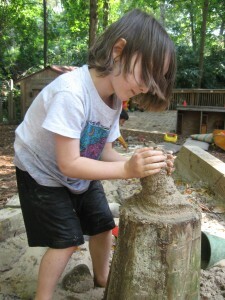 We want them to feel just as confident building with logs as they do with legos; just as comfortable mixing mud as they are mixing cookie dough; and just as happy climbing trees as they are climbing jungle gyms. At Children First, field trips are one way we help children develop a deep, satisfying connection with the natural world. 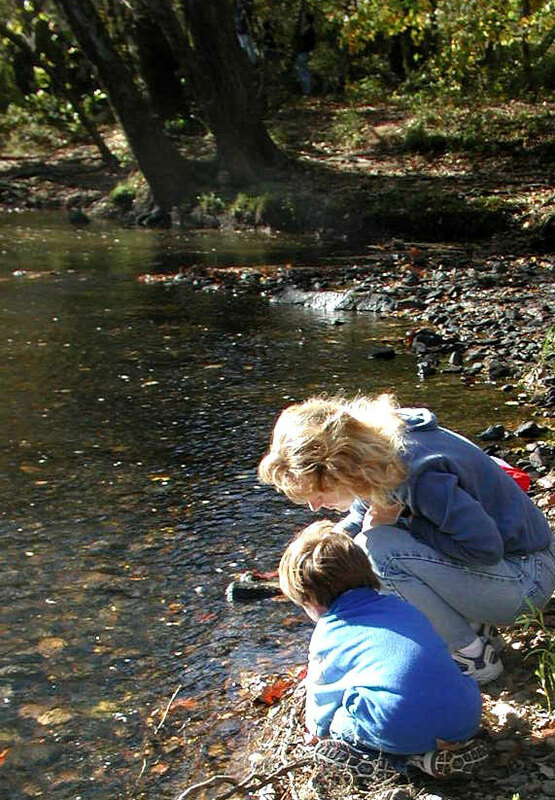 We visit, explore, and settle into a particular natural place many times over the course of the school year, experiencing that setting through different seasons. 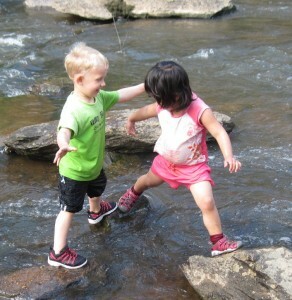 For many years now, the Cole Mill area of the Eno River has been our wild “home away from home.” Generally, in good weather, a teacher and a small group of children spend a full morning at the Eno River two or three times a month. Both outdoors and inside the classroom, we provide many natural materials for children to use for exploration, pretending and creating — you’ll see bowls of acorns and pinecones and seeds set out for designing on trays; ocean and river rocks in the block area, pumpkins in the water deck; seashells at the block platform; and leaves at the light table. We actively explore the nature around us, working side-by-side with the children to observe and study the plant and animal life we encounter every day on the playground. 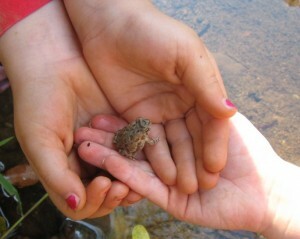 We encourage the kids to “take care of nature” in whatever ways they can, whether that means composting garbage instead of adding it to the landfill; recycling a discarded drawing instead of putting it into the trash; and studying an insect or baby toad instead of appropriating it as a prop or pet. There’s no way we can help children to learn to love and preserve this planet, if we don’t give them direct experiences with the miracles and blessings of nature.